Brian Irwin, Chairman of Irwin’s Bakery has been presented with a special Contribution to the agri-food Industry in Northern Ireland at the inaugural Henderson Wholesale Fresh Innovation Awards at the Balmoral Show. The revamped awards were held this morning (Friday 18 May) at the 150th Balmoral Show to celebrate the Henderson’s fresh food suppliers, farmers and growers rewarded for their product innovation, accessibility of goods and their sustainable practices. Tim Graham of Graham’s Bakery also became the first ever recipient of the Young Agri-Food Innovator Award, a fresh category for the all-new awards. The judges agreed that Tim was excelling in New Product Development for the Dromore based company; Tim recently collaborated with the wholesaler to produce an exclusive line of celebration cakes for the new Occasions range developing throughout Henderson branded stores. Other winners at the breakfast ceremony included T.S Foods Ltd for Excellence in Product Innovation for their Ann’s Kitchen range of fresh and convenient fish meals; Hovis Ltd which won the Excellence in Regional Delivery award for maintaining a 99.98% service level when delivering over 50 bread and bakery products, six days a week, directly to the entire network of SPAR and EUROSPAR retailers in Northern Ireland. PRM Group, one of Henderson Wholesale’s leading fresh brand suppliers took home The Tomorrow Matters Award which is a nod to the alignment of the Group’s CSR practices with its suppliers. 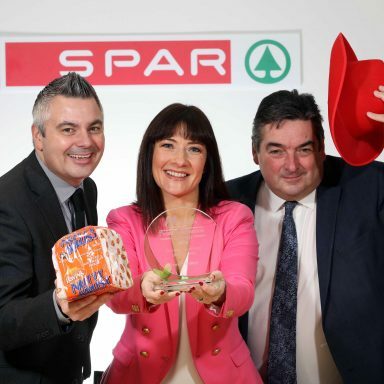 Ballyclare pork producers Fred C Robinsons were presented with the Own Brand Supplier of the Year gong, reflecting the company’s increase in sales of +13% of the SPAR’s enjoy local range of pork sausages. 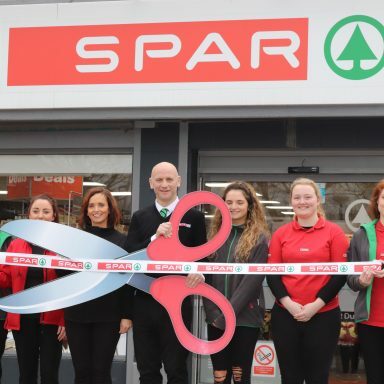 Quail’s Butchery in SPAR Dromore Road, Banbridge took home the title of In-Store Butcher of the Year, with Joe Quail accepting the award on behalf of the team. Neal Kelly, Fresh Foods Director at Henderson Group commented; “With the 150th anniversary of the Balmoral Show, we also wanted to make our annual celebration of our fresh food suppliers one to remember. “The Fresh Innovation Awards have been fantastic, and we have received such a positive response from the suppliers we work with. We strive to ensure we are sourcing locally first and foremost as we have some of the finest produce in the world on our own doorstep. There is simply no excuse to be looking elsewhere. Jo Scott, BBC Northern Ireland’s Home Ground presenter hosted the awards which saw over 100 members of the local food industry, Henderson Group Board of Directors and Ulster Guild of SPAR come together for the awards ceremony and breakfast, made up from producers including Ballygarvey Eggs, Boconnell Mushrooms, Connolly Meats, Henry Denny, Lacpatrick Dairy, Total Produce, Fred C Robinson, Allied Bakeries and Armagh Apple Juice. 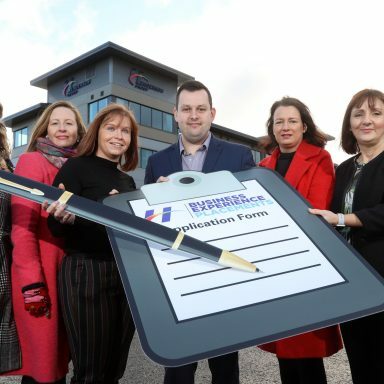 An independent judging panel made up of food, agri and business experts scrutinised over 40 entries from around 20 local companies. 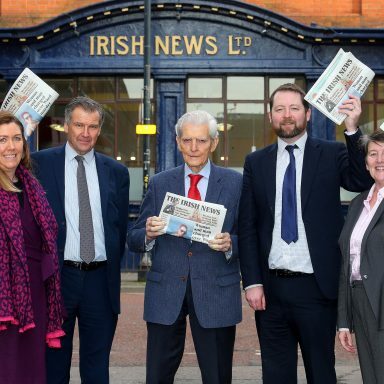 The judges included Freda Magill, former Chair of the Ulster Farmers’ Union; Joy Alexander, Head of Technology at CAFRE; food writer Sam Butler, Head of the Agri-Food Business Development Centre at Ulster University, Dr Lynsey Hollywood, and Irish News Business Editor, Gary McDonald.